With its unparalleled natural beauty, colourful cultural vibe, and inspiring creative energy, it’s easy to see why Cape Town is one of the top tourist destinations in the world. Whether you’re travelling in grand luxury and staying at world class, 5-star hotels, or slumming it with the locals at a backpackers, there is literally something for everyone in the Mother City. For those looking for a truly unique, slightly offbeat place to spend a night or two, we’ve got just the spot. Housed on a working farm, the now famous Old Mac Daddy offers a weekend getaway like no other. 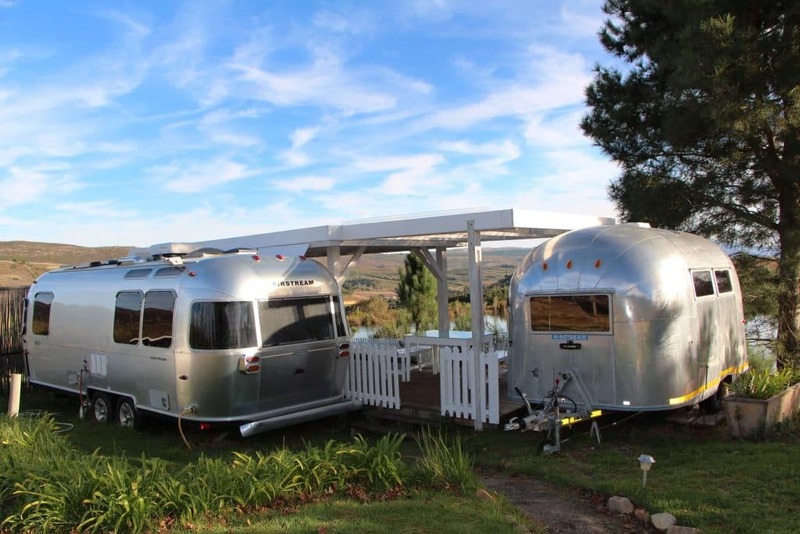 Nestled among the trees deep in the Elgin Valley, sits twelve shiny original Airstream trailers, each with its own, uniquely designed interior, en suite bathroom, small kitchen, living area and look-out deck that looks out over the beautiful valley below. Each trailer has its own distinctive theme — from the old Karoo farmhouse vibe of Piet and Sannie Potgieter’s “For Better or Boerewors”, the wrestling ring bed of “Dirkie Sanchez”, the velvety interior of “Mills & Boon”, or the colourful cupcake stripes of “Love Cake…I Do”, each trailer isn’t just a place (or sleep capsule) to rest your tired bones, it’s an entire experience. 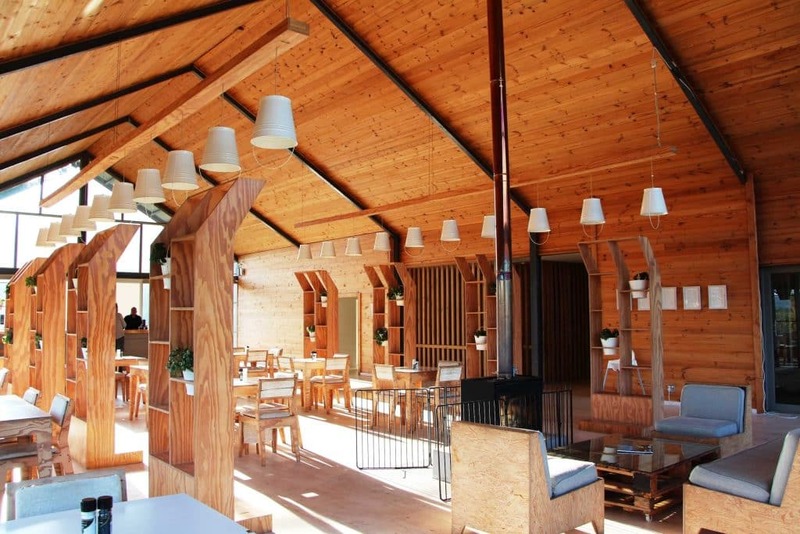 In addition to the quirky sleeping arrangements, delicious breakfast is also included and served daily at The Barn Restaurant, where you can also grab a bite and a drink during lunch or dinner. There are all sorts of amenities like a pool, a library space where you can enjoy crash on the couches with a book, play a board game, or watch the game on TV. For those who want to take relaxing to the next level, there’s also an on-site spa to massage away the troubles of the week past. Cellphone reception on the farm is very limited, but there is free Wi-Fi for those who simply can’t survive without their social media fix – of course the quirky interiors of the trailers are totes ‘grammable. If you’d like to catch some (more) fresh air, Daddy’s Adventures offer activities kayaking, tractor rides, stand-up paddle boarding, fishing, and even clay pigeon shooting, and more. Whether you choose to spend the day at the pool, lounging around in the library, casting a hook or simply hanging out in the trailer, admiring the views (both inside and outside), a visit to Old Mac Daddy is something you won’t soon forget. A wholesome buffet breakfast is included in your stay and Brinny Breezes also offer wonderful wood-oven thin crust pizzas as well as a great bistro-style menu with hearty country dishes. If in stock, do try the short rib pie with creamy mash and vegetables accompanied by the South Hill Cabernet Sauvignon (from the wine farm just across the road). Let’s end with some alliterations shall we, as Old Mac Daddy is indeed quite a quaint, quirky, quality and quiet break away. For something different, get in your car (or rent one if you’re visiting), get a takeaway coffee and hit the road for an experience that will leave you both nostalgic and hip at the same time. Which Cape Town Neighbourhood are you?